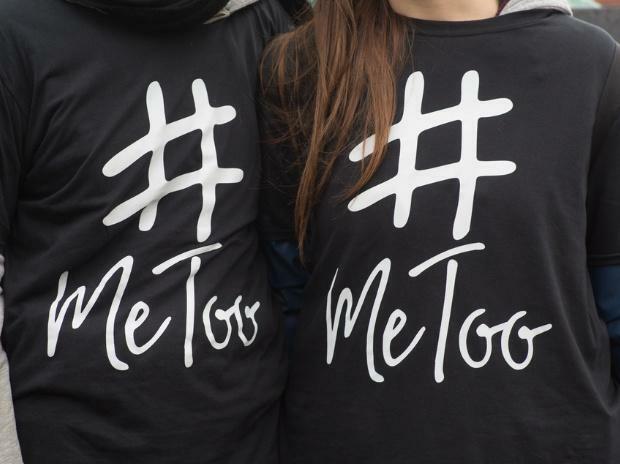 With the #MeToo movement gaining momentum across the country, experts feel companies need to widen background screening, including social media checks, while hiring employees at higher levels. Posts on social media platforms can indicate the behaviour and personality of a prospective candidate, they said. "Social media has a large role to play in today's hiring. Posts on social platforms can indicate the behaviour and personality of a prospective candidate. "Not just the angry rants, but also who they follow, what they read, and where they vacation, can say a lot of things about a candidate," TeamLease Services senior vice- president Neeti Sharma told PTI. According to her, other means that companies can use to avoid hiring such "bad" candidates is doing a mapping or even meet them upfront. For instance, globally, many companies map and meet senior or mid-level candidates socially to identify their personality traits. "Social tests conducted by some companies globally go beyond the background verification with the HR or their reporting managers. "Receptionists, cab drivers, security guards, and women colleagues among others are also contacted to informally verify the potential candidate," she adds. Most multinationals, large corporates and publicly traded companies in the country are aware of the consequences of such incidents and make it a priority for them. "However, many companies from the SME/MSME/and informal segments need to focus on prevention of sexual harassment at workplace as well as make their employees aware of the POSH (prevention of sexual harassment) Act. "Another segment that needs to build this in right earnest are the startups," she said. "The startups in the beginning have a few hands but when they grow up it will become imperative for them to start paying attention to ensure safety and security of its female employees at the workplace," she says. Echoing a similar view, Rahul Belwalkar, CEO of Secur Credentials,which is into employee background checks, says besides reports from the previous workplaces, a complete background check includes checking the target's address, educational qualifications, social media backgrounds, credit history, court and criminal records, apart from making him/her undergo a psychometric and drug tests. "These are the industry best practices which help identify the correct fit for companies and weed out the undesirables. "While the types of checks conducted and the processes for the same advance with social and technological changes, the underlying philosophy for conducting background checks is to try to get as much information as possible about a candidate to take an informed hiring decision," he explains. According to Ketan Kapoor, the co-founder and chief executive of Mettl, which is into online assessment of senior professionals, opined that it's crucial that senior level employees are made to go through stringent background checks. "Manager behaviour has been identified as the biggest source of workplace stress, which is the leading cause of poor workplace performance, absenteeism, low employee engagement and high attrition. "A thorough background check can reveal information regarding how the manager is being perceived in their previous workplaces," he says. He also underlines the need for a police record check to know if there is any prior or ongoing legal complaints against the individual being probed. "A dark personality assessment can also very accurately reveal if a person possesses the traits that can cause him or her to indulge in counterproductive work behaviour such as harassment or bullying. "Social media is also a useful medium for background checks," he adds. According to Kapoor, the financial sector leads in carrying out employee background checks, while the IT industry is fast catching up with data breaches and information confidentiality becoming a big concern. "I think educational institutions and childcare service providers (day-care centres) need to mandate background checks. In the wake on rising number of crimes in schools, it's necessary to safeguard the children by ensuring that they are in a healthy and secure environment," he adds. The #MeToo movement began in India with women recounting their experiences of sexual harassment in the entertainment and media industry. M J Akbar, a journalist-turned-politician, resigned as Union minister last month following a spate of allegations of sexual harassment during his days as editor of several publications.